U.S. Army History in Waikīkī! Right here in Waikīkī there is more to learn about our famous nisei “Go For Broke” 442nd Infantry Regiment — at the U.S. Army Museum of Hawaii. It’s on the corner of Kalia and Saratoga Roads inside Fort DeRussy Military Reservation park. During World War II, U.S. Army Artillery “Battery Randolph” was located on the point. Coastal batteries were fortifications of cannon, tanks and ammunition, and bunkers strategically positioned for battle or defense. In modern warfare, batteries also facilitate battlefield communications, command operations and disbursement of artillery materials to gunnery crews. Battery Randolph’s main guns were removed before the museum began, but today, its holdings include choppers, tanks, cannon, and light weaponry as well as military photos from the Vietnam, Korea and WWII Pacific Theater eras. 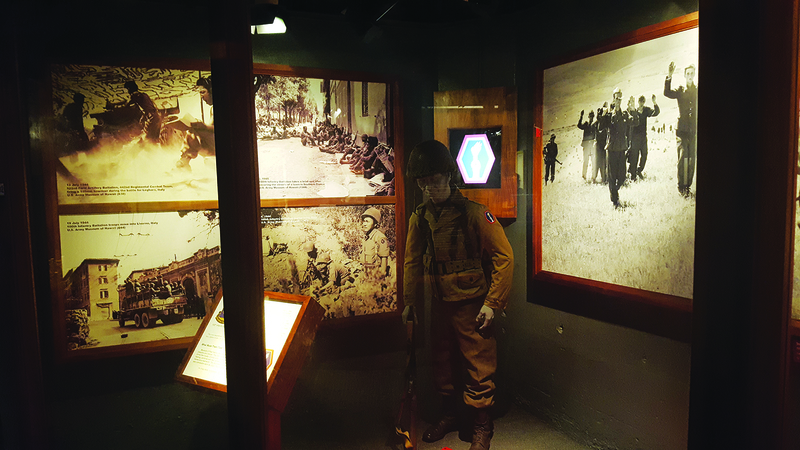 The exhibit represents the entire post-annexation military history of the U.S. Army in Hawai‘i, including key projects of U.S. Army Corps of Engineers throughout Hawai‘i. Of unique interest is the museum’s “Gallery of Heroes,” which displays commendations, Medals of Honor and Distinguished Service Crosses awarded to Hawai‘i veterans. It is a permanent tribute to our heroes, including the 442nd Infantry Regiment and nisei Military Intelligence Service during WWII. Leave plenty of time to see all the vintage U.S. Army photos and identify your family members who fought for freedom. The end of summer is a great time to take your grandchildren to the museum for a powerful educational adventure. Remember when you meet a veteran to thank them for their service. Open 10 am – 5 pm, Tues.– Sat. Parking: $3.50 for the first hour, $2.00 for additional hrs. ◆ Who's Turning 65 This Year?